Symbols can have many meanings. Emblems do not represent something else that is invisible. It is what it is. It stands for one thing, and one thing, only. That said, many Masonic writers, historians and websites (both now in in the past) use the words "Masonic emblems" and "Masonic symbols", interchangeably. 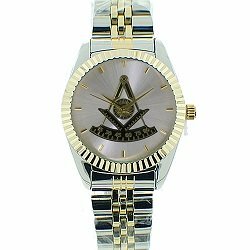 This Masonic square and compasses is an emblem of the fraternity. In fact, the Square and Compasses is trademark protected by the fraternity. 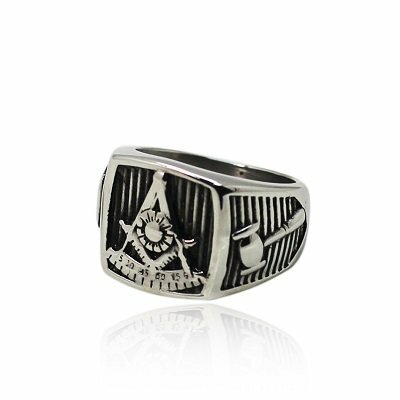 For centuries, the square and compasses have represented the fraternity of Freemasonry. It is an emblem because its only meaning is that it represents the fraternity. When you see the image of the 2 symbols (the Masonic square and compasses) in this configuration, together, they emblemize the fraternity. They are a visible "sign" of the fraternity. All Masonic emblems are symbols, but not all symbols are emblems. Emblems only have one meaning, however, symbols can have multiple meanings. There are 2 symbols used within the Masonic square and compasses emblem, above. They are the Masonic square and the Masonic compasses. Separately, they are symbols because each of them can have multiple connotations. A carpenter's square, used to create true lines. A Masonic square, which symbolizes a state of moral rectitude. A compass used by an architect which when a base point is chosen, will create a perfect circle around the base point to ensure that the work has the correct proportions, thus giving it beauty, stability and harmony. A compass used by a mariner which has a magnetic needle and circular dial or card by which he directs his course over the ocean. A compass used by an aircraft pilot which also has a magnetic needle by which he directs his course in the air. The Masonic compasses symbolize an implement of virtue by which we are taught to circumscribe (create a boundary around) our passions and keep our desires within due bounds. 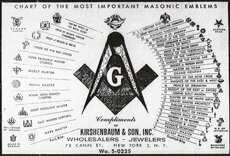 The old chart, below, contains a list of the most important Masonic emblems during the time in which it was created. These are Masonic emblems because they symbolize only one thing. Each emblem represents a Masonic degree. 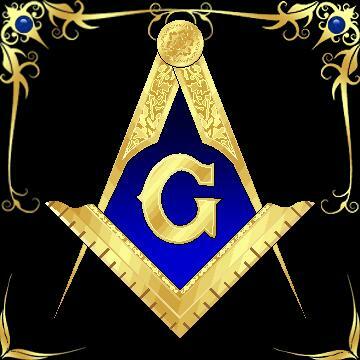 This Masonic emblem is representative of Freemasonry. The Order of the Eastern Star (or O.E.S.) is an appendant body within Freemasonry. Members are both male and female, but predominantly female. It is the largest organization in the world to which both men and women may belong. It is a social order comprised of persons with spiritual values. It strives to take good people and through uplifting and elevating associations of love and service, and through precept and example, build an Order which is truly dedicated to charity, truth and loving kindness. 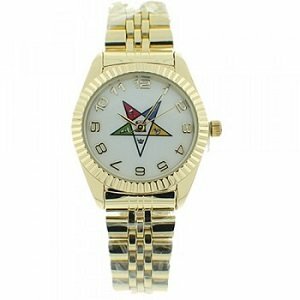 The 5 points of the star represent 5 strong women in history, 4 of whom are in the Holy Scriptures. The Scottish Rite is an appendant Masonic organization which continues a Master Mason's education of the first 3 degrees. It is believed to have been founded on the European continent in the 1700s. The Scottish Rite consists of the 4th through the 32nd degree and an honorary 33rd degree, which is awarded for exception service. Their charitable work includes Rite Care Childhood Language Program, youth programs, scholarships, and disaster relief. The Ancient Order of the Nobles of the Mystic Shrine (A.O.N.M.S.) 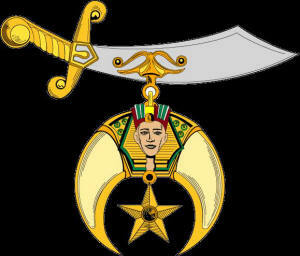 commonly known as Shriners was established in 1870. 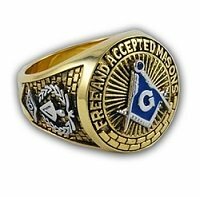 It is an appendant body of Freemasonry, based in the United States. This social organization is best known for their ongoing charitable work in providing funds for the 22 Shriner's Hospitals for Children. 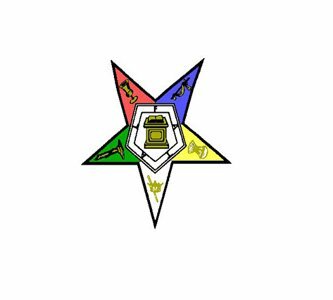 The Daughters of the Nile is an international fraternal appendant sociable and charitable organization. Job's Daughters International is an appendant organization of young women between the ages of 10 and 20. They perform service projects to help their community and the less fortunate. They actively support the Hearing Impaired Kid's Endowment (HIKE) which purchases hearing assistive devices for hearing impaired children. The International Order of the Rainbow Girls is an appendant organization for female members between 11 and 20 years old. This organization encourages its members to be strong in spirit and kind in heart, respectful toward nature, and giving toward all humanity. DeMolay is an international appendant youth fraternity for young men ages 12-21. Founded in Kansas City, Missouri in 1919 by Frank S. Land. 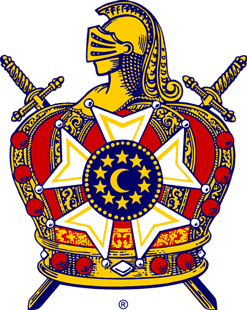 DeMolay derives its name from Jacques DeMolay, the last Grand Master of the Knights Templar. DeMolay has several cardinal virtues, which are the sole structure of what they follow. These cardinal virtues are: filial love (love between parent and child), reverence for sacred things, courtesy, comradeship, fidelity, cleanliness and patriotism. The word Philalethes (pronounced: fill-a-LAY-thess, with the accent on the 3rd syllable, "lay") is derived from two Greek words, philos and alethes. Philos means love. Alethes means truth. Together, they mean "lover of truth." 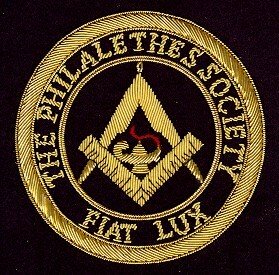 The Philalethes Society was founded in 1928 by a group of Masonic students. 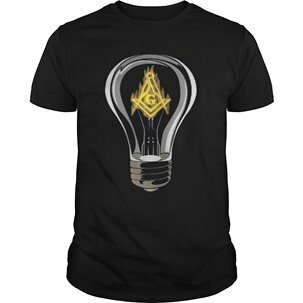 It was designed for Freemasons desirous of seeking and spreading Masonic light. The sole purpose of this research society is to act as a clearinghouse for Masonic knowledge. It exchanges ideas, researches problems confronting Freemasonry, and passes them along to the Masonic fraternal or appendant bodies.